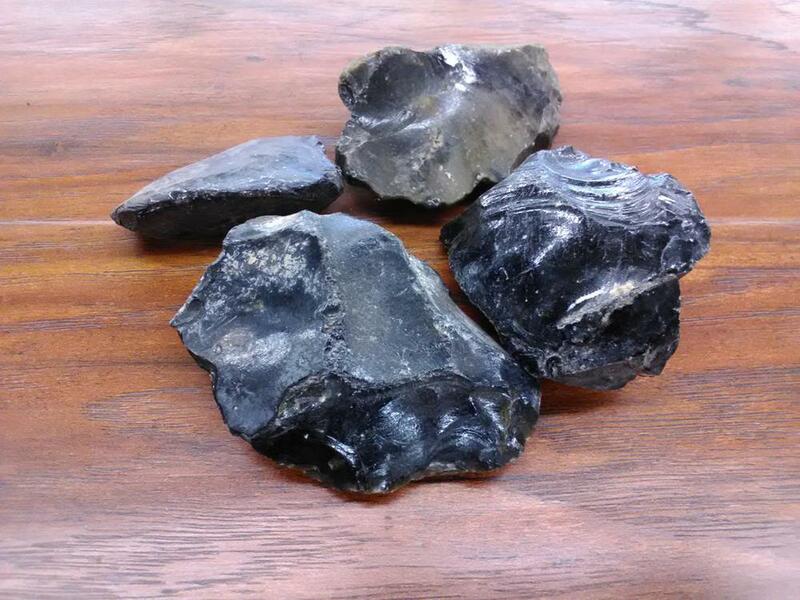 Obsidian is a naturally occurring volcanic glass formed as an extrusive igneous rock. It is produced when felsic lava extruded from a volcano cools rapidly with minimal crystal growth. Obsidian is commonly found within the margins of rhyolitic lava flows known as obsidian flows. The inhibition of atomic diffusion through this highly viscous and polymerized lava explains the lack of crystal growth. Obsidian is hard and brittle; it therefore fractures with very sharp edges.